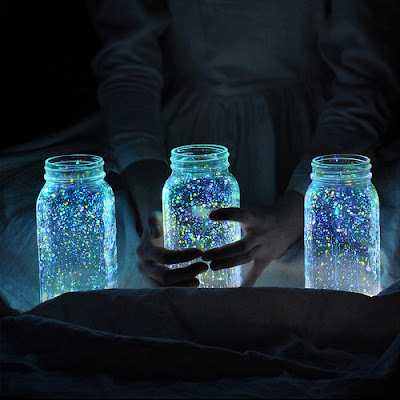 Making these couldn't be easier....simply flick glow in the dark paint inside the mason jar with your brush and allow to dry. Watch them glow in the night! Do you have to leave the cover off for it to work? I've been looking at paint options for this and its very confusing what to use - what did you use here? or can you point us to the original source?